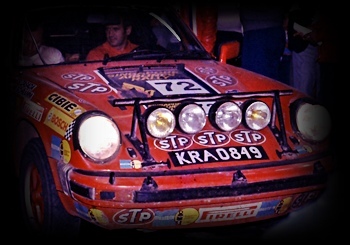 CAR RALLIES: I have followed the World Rally Championship (WRC) for many years and retain great memories of the Repco Trial and the London to Sydney Marathon of the late 1970's. The 'Repco Trial' of 1979 rekindled the memories of the Redex Trials of the 1950's. 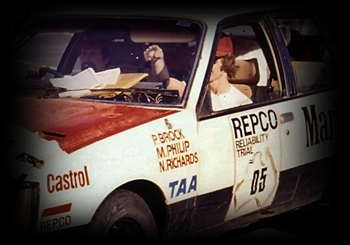 Starting from Melbourne, Victoria on the 5 August 1979, the rally route wound clockwise around the Australian continent for nominally 20,000km over fourteen days, finishing back in Melbourne on the 19 August. I recall having followed the event through the limited methods of media coverage of the time, so when the 'Marathon stopped at Garden City Shopping Centre in Brisbane, I was there! Some very very weary drivers and mechanics descended on Garden City at some ungodly hour, my favourite entry, the Porsche 911. The 'clickable' image depicts the #72: Polish entered Porsche 911.